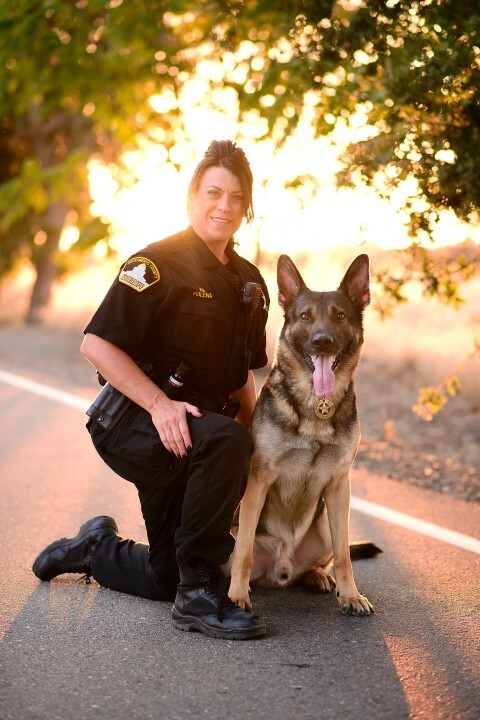 My name is Ramie Folena and I have been a Deputy Sheriff with the Sacramento County Sheriff’s Department since October 2000. Within that time, my job assignments have included working at the county main jail and street patrol. I have worked nearly all districts within the county. I thoroughly have enjoyed my job as a Deputy Sheriff, but knew it could be enhanced by having a canine partner. 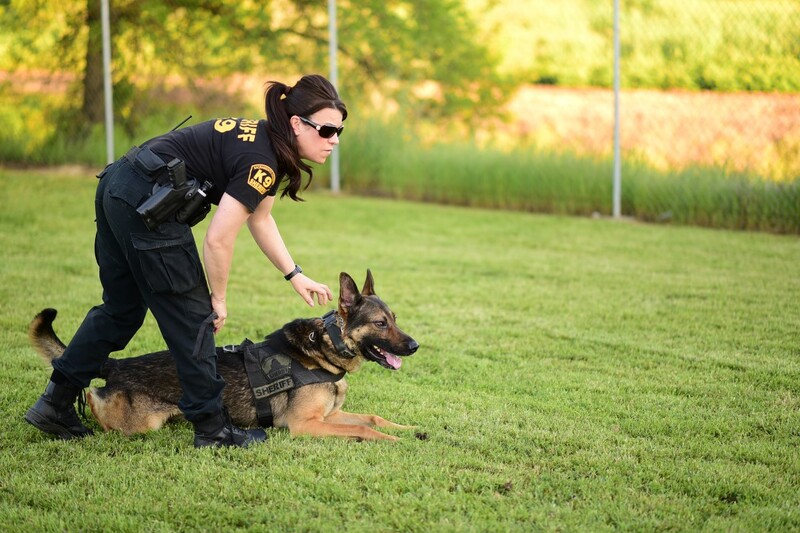 I had a strong interest in becoming a K9 handler even before I finished the Sheriff’s academy, and it only continued once I hit the streets as a patrol officer. I was lucky enough to join the Sheriff’s Canine Detail in January 2012. I absolutely love my current job assignment and have fulfilled my career goal by achieving this assignment. When I came to the Canine Detail I was paired with my dog, Nikk (pronounced Nick). He came to me with the name Neck, but I changed it to Nikk once he was assigned to me. He was a new dog and almost two years old when we purchased him from a nearby kennel. Nikk is a German Shepherd from Germany and was born in April 2010. Nikk and I went through extensive training and were certified in May 2012. 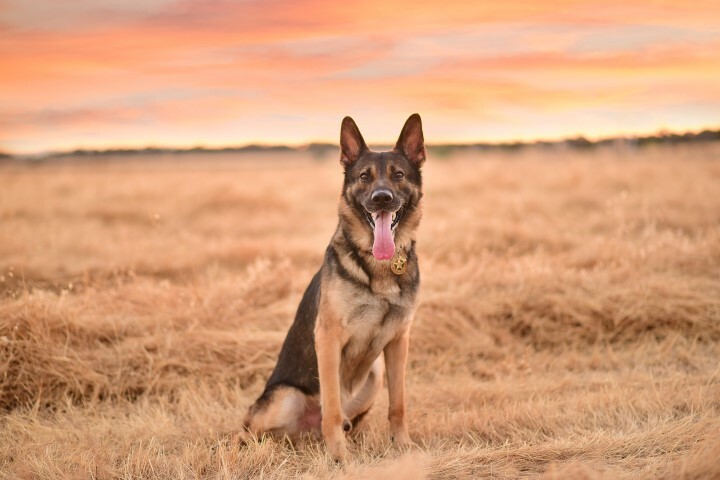 Nikk is certified in locating wanted subjects, missing persons, handler protection, and searching for evidence. 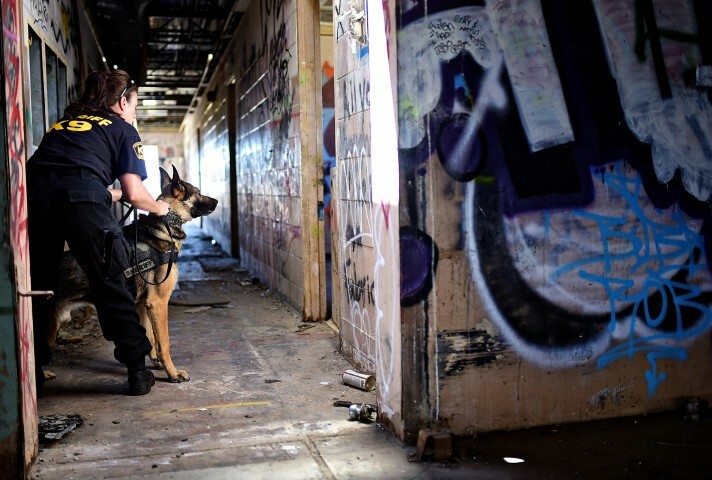 Once we were certified as a canine team, we began working the graveyard shift on the streets as “K9- 8”. On our first night working, Nikk located a handgun thrown by a suspect over an overpass while being chased by officers. Following that apprehension, he continued to show how ready he was for the job by apprehending seven suspects over the next few months. Nikk has great motivation, is very focused when working, and is very social at the same time. When I take Nikk into a briefing with me at the start of our shift, he socializes with everyone in the room before he is ready to lay down and listen to our briefing. Nikk is a great dog both on and off the job, and we are very compatible. Nikk is very toy driven and loves his Kong toys and tennis balls. When at home, he enjoys playing ball with my son, being around my family in our backyard, and laying in the sun. When Nikk hears me getting ready to go to work, or if I start my patrol car, he begins whining and whimpering in anticipation to go with me. I still have not determined what he hears that signals that it is work time since I am upstairs in the bedroom and he is outside in the backyard and has no way to see me yet. However, when he does see me come downstairs in my uniform the whining continues and he runs laps in my backyard in excitement. 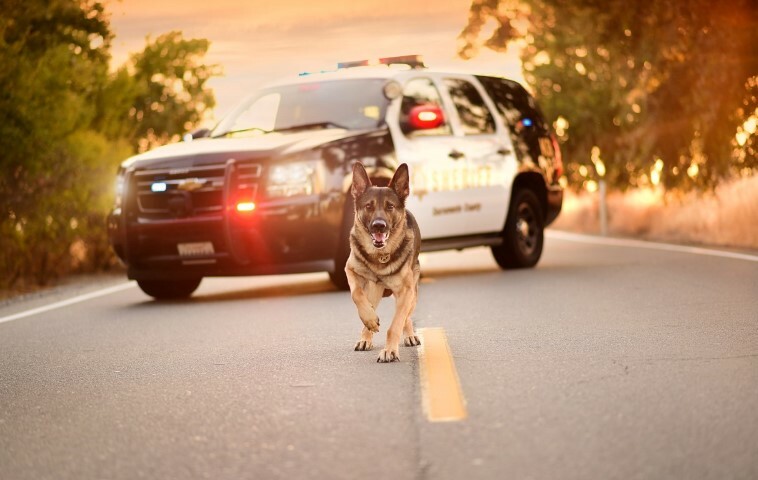 Once in the patrol car, he is one happy dog to be going to work.